Unless you’re armed with a fail-proof list of romantic restaurants to take your other half on special occasions, a date night out in celebration of a milestone would, more often than not, have you racking your brains on where to go for a meal. 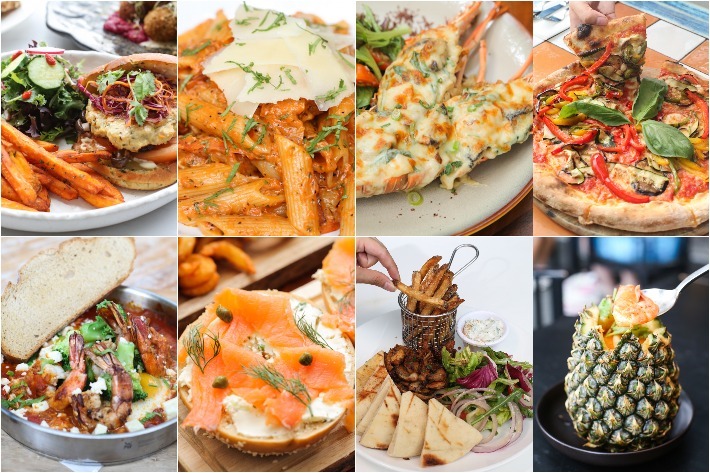 Singapore is a city that surely doesn’t fall short of romantic restaurants and if you are looking to add another restaurant to your list of where to take bae, Salt Grill & Sky Bar would be it. Located on the 55th storey of ION Orchard, Salt Grill & Sky Bar offers diners an unobstructed bird eye’s view of the city and an elegant dining atmosphere, making it an ideal restaurant no matter if you’re looking for a sensuous spot to impress your first date or a charming restaurant to spoil bae. As one of the top lifestyle destinations in Singapore, Quayside Isle @ Sentosa Cove is unrivalled when it comes to its range of premium dining concepts. Nestled within the heart of Sentosa Cove, its dining enclave of established restaurants, bars and cafes boasts an enchanting view of the waterfront where luxurious floating yachts are docked at the picturesque marina. A dining experience at Quayside Isle suits any occasion—whether you are trying to create an unforgettable memory for your significant other, impressing your business associates with world-class gourmet fare or simply looking for an ambience to chill out and luxuriate over scrumptious dining and cocktails. From Mexican delights to traditional Chinese dining and tangy Thai recipes, here are 11 restaurants at Quayside Isle where you can dine at with a ravishing waterfront view. Barnacles at Customs House is a popular after-work haunt that offers a medley of gourmet grub as well as a stellar view of the Marina Bay skyline. When the sun begins to set and the lights from the surrounding buildings begin to illuminate the night sky, there truly is nothing grander to marvel at. Besides the awesome view, here is where diners can indulge in both inventive cocktails and top-notch fare. Choose your poison from an eclectic range of beers from around the world, signature cocktails, and a stunning selection of gin. Top the experience off with Barnacles’ array of mouthwatering grub that comes either as full-on mains or small plates. Whatever it is you fancy, just know that when it comes to food, Barnacles is not one to skimp on flavour.